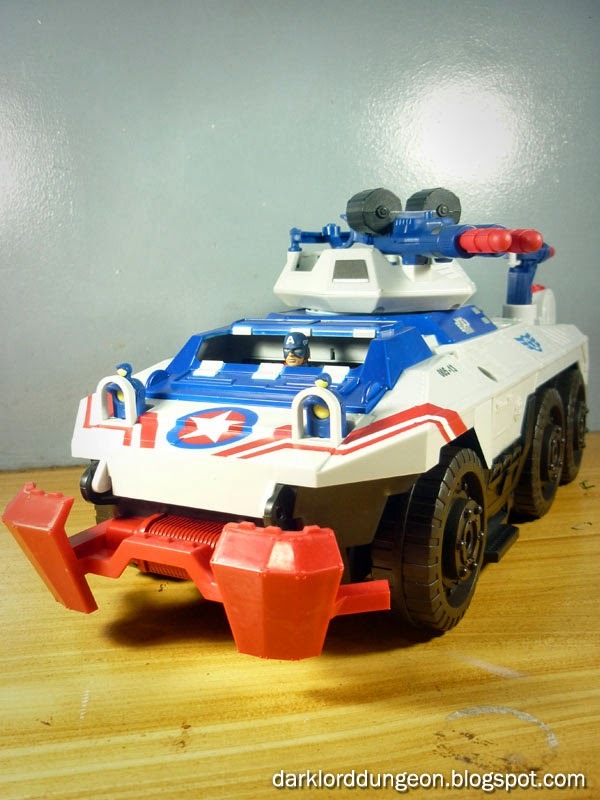 Presenting the Captain America Strikefire Transport! WARNING: There will be movie spoilers in this review. Now Captain America's Strikefire Transport did not make an appearance in the Captain America: The First Avenger movie. There was a similar top-turreted four-wheeled vehicle used in the movie, but it was used by Hydra. So the Strikefire is purely a promotional vehicle made for Captain America in the same way that the Goliath Assault Tank and Stark Tech Assault armor are. Except where the aforementioned are more... modern vehicles, the Strikefire is a nod to Captain America's WWII origins given that it's design is based upon an M8 Armored-Car. Presenting Jedi Knight Pablo Jill from the Star Wars Black Series Toyline. 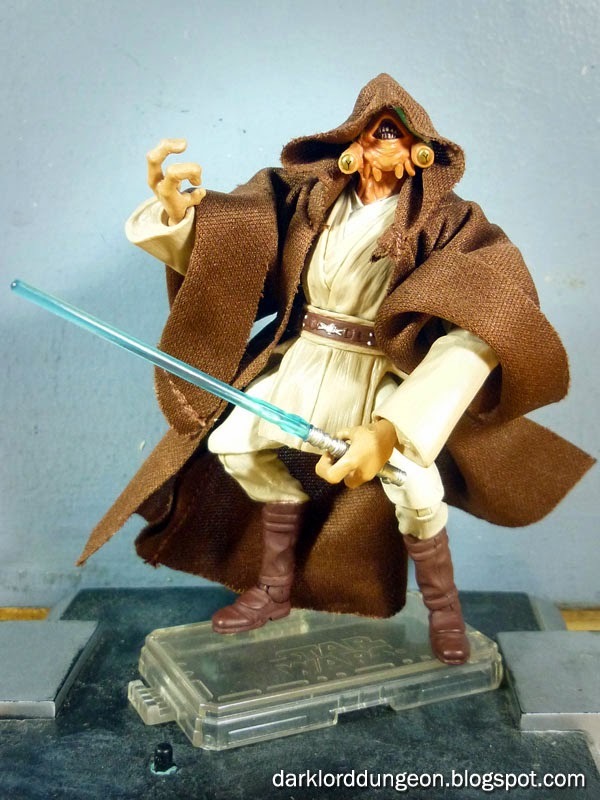 This is without a doubt, the weirdest looking Jedi Knight - and possible even the weirdest looking alien - in our Star Wars collection. Pablo Jill was a Jedi Knight who served in the Republic. He's an Ongree - an amphibious species whose eyes were mounted on independently mobile stalks that allowed them to look at objects from multiple perspectives (Which also created a philosophy and mind-set by which the Ongree lived by). And that's not the only reason why he's weird. Jedi Knight Pablo Jill's mouth is on the top of his head; he's got incredibly long arms; he's hunchbacked; and his legs look like they've been broken (more than birds legs). Is that F'up'd or what? 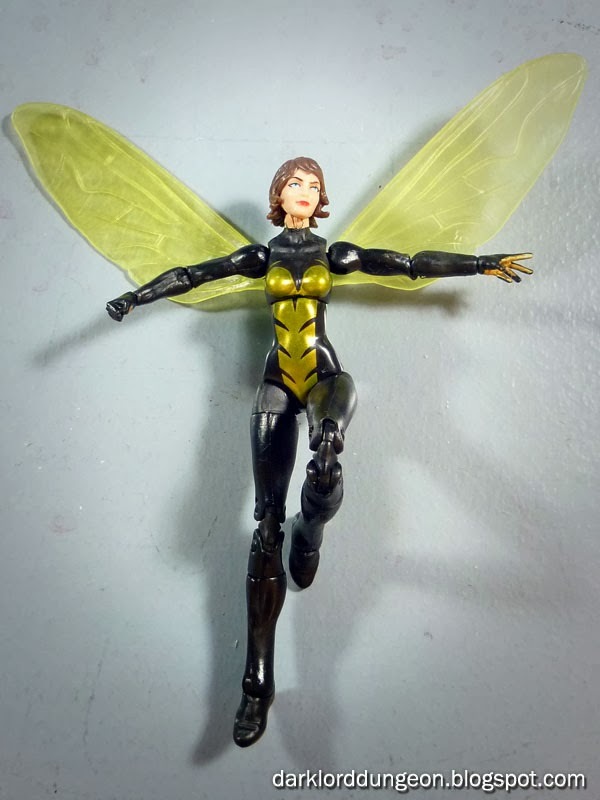 Presenting the diminutive Winsome Wasp from the Marvel Universe Infinite Series. Born Janet Van Dyne; Once married to the most unstable of Avengers, Hank Pym - who was soooo sick he used her dead and literally bloated carcass as a Headquarters for an Avengers team (Not really quite sure we understood how that happened); Chairwoman of the Avengers during which the Avengers Mansion overrun by the Masters of Evil; eternal flirt (she actually once used the code-name Pixie); and fashion icon - We don't believe we've ever seen her with long hair (Janet Van Dyne has keptm- short hair in style since 1963). The Wasp was the single biggest casualty of the Skrull Invasion series where she was unwittingly transformed into a pym particle powered bomb. She died, but apparently just shrank down and entered the microverse. It took a while for her to contact the Avengers and for them to bring her back to the real world. Presenting Darth Plagueis the Wise from the Star Wars Black Series Toyline. But this Sith Lord is... special. If you were impressed with the way Emperor Palpatine beat the crap (Debatable) out of the leaping, lunging, twirling little green goblin called Master Yoda, Darth Plagueis the Wise is the guy that trained Palpatine. Darth Plagueis the Wise, a Munn Sith Lord who can trace his lineage all the way back to Darth Bane is also, like Palpatine, a Sith Lord who hides in public. He maintained his identity as Hego Damask, Magister of Damask Holdings head of the InterGalactic Banking Clan (One of the groups that led to the Galactic Civil War). A master manipulator of midi-chlorians, Darth Plagueis was obsessed with cheating Death and creating new life using the Dark Side of the Force (He once amused himself by bringing his rival back to life several times just so he could kill him again-and-again). His attempt to create life through the Dark Side back-fired (In a manner of speaking), the Force fought back and created the fatherless conception of Anakin Skywalker. In effect, this is Anakin Skywalker's Daddy. Presenting a HALO UNSC Mantis power-armor from Megabloks! We at the Dungeon first piloted a UNSC Mantis Exo-Skeleton in HALO 4. We have to say that we totally did not expect to find Power-Armor in that game - I mean isn't the Mjolnir armor enough? So when this bad boy showed up BOY DID WE PUSH IT TO THE MAX!!!! We loved it! 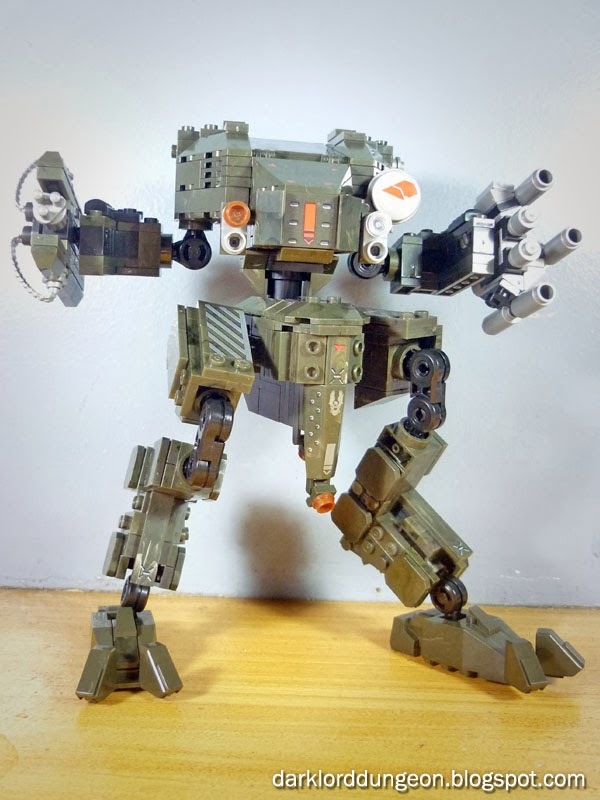 mini-guns, missiles, stomp here, stomp there. You have to love the UNSC Mantis!!! We're frankly disappointed that McFarlane has yet to produce one yet, but then a full sized UNSC Mantis capable of let's say being driven by any of the members of Noble Team, would be huge (And incredibly expensive)! Till then, this will have to do. When we saw the Megabloks UNSC Mantis, we just had to have it.